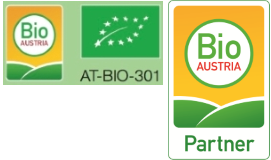 BioBloom´s Organic Hemp Drops Natural are extracted exclusively from EU certified hemp with a THC content of below 0.2%. CO2 extraction ensures BioBloom Hemp Drops are 100% natural and contain in addition to CBD/CBDA the full spectrum of the hemp plant like other cannabinoids (CBG, CBDV, CBN und CBC) sowie Terpene und Flavonoide), terpenes and flavonoids. The natural interaction of all the valuable ingredients unfolds the full power of the hemp plant. We place the highest priority on keeping our products in their natural form and not enriching them with artificial additives or increasing their concentration with pure CBD substances. 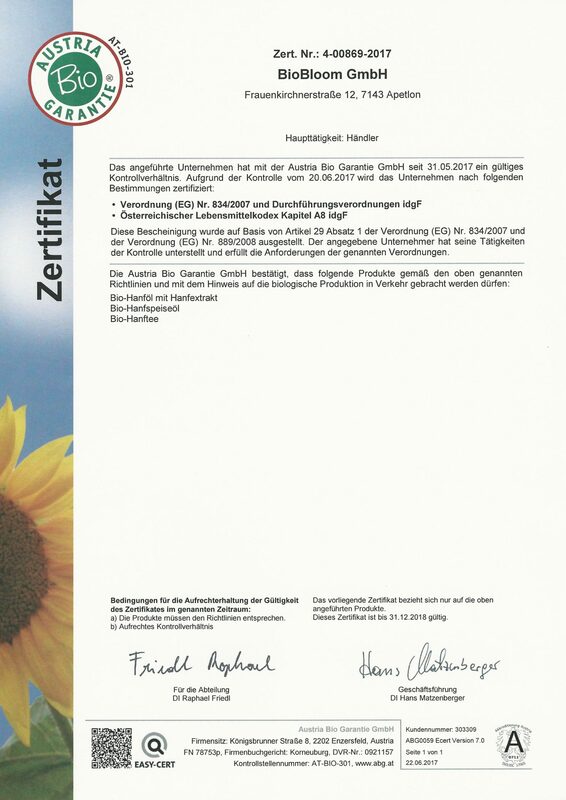 All BioBloom products are subject to strict quality controls and were additionally tested by the patient association Arge-Canna in an independent laboratory and certified with the “AC quality of seal”. As a natural product, the ingredients can be subject to natural variations. We only dilute our extracts with a very small amount of hemp seed oil. This makes the consistency of the drops somewhat thicker and the taste more intense while also increasing the quality of the drops.